Fancy water, or modern-day snake oil? This brand of water has as its distinguishing feature a relationship of some kind to the Himalayas. And minerals!!! in all their glory – these being the good tasting variety. Of all the hokum in the world, the most bogus is that which proclaims one type of water’s superiority over all the others. And this water even claims benefits due to its alkalinity! Water is water. There are some municipalities where the water will eat its way through the porcelain walls of sinks and toilets, given time, and there are the municipalities where the water tastes pretty bad. But municipal water is nearly always safe to drink, with notable exceptions primarily due to gross government malfeasance. Popular delusions and the madness of crowds. The United States is the largest consumer market for bottled water in the world, followed by Mexico, China, and Brazil. In 1975, Americans hardly drank bottled water—just one gallon of bottled water per person per year on average. By 2005, it had grown to ~26 gallons per person per year. In 2008, U.S. bottled water sales topped 8.6 billion US gallons (33,000,000 m3) for 28.9% of the U.S. liquid refreshment beverage market, exceeding sales of all other beverages except carbonated soft drinks, followed by fruit juices and sports drinks. By 2011, this number had risen to 9.1 billion gallons. Americans drink 21 US gallons (79L) of bottled water per capita per year. From 1970 (16 brands) over 1998 (50 brands) to 2012 (195 brands), the number of mineral water brands in the U.S. has grown exponentially. A 9% growth in a basic commodity is huge. Population growth is far lower than that at slightly less than 1% per year. Sales growth that much greater than the population growth indicates that a great marketing effort is underway. The market is predicted to reach $280 billion by 2020. Those numbers are in billions – with a B; the sales number is global. Granted, there is a need in many parts of the world for safe, bottled water to use for drinking, but this is not the case in the United States. All community supplies of water meet safe drinking standards. That is part of the basic requirement of a municipality in the United States – everywhere but Flint, Michigan, that is. There are some places where sewage systems are not present and septic tanks must be used even within city limits, but water systems are a must for a community in this country. Many diseases are waterborne, and a safe water supply for municipal sanitation is basic. A few years ago this writer attended a conference at Auburn University which provided required Continuing Education Units for architects to maintain our registration. During that two-day seminar, there was a four-hour class on this subject – water purity and advertising claims. In the class, the instructor did testing on various brands of bottled water, municipal water from Auburn, Alabama, and some Atlanta municipal water he had brought with him. First he tested for bacteria presence and other health hazards, all of which every brand and sample passed, proving that all of this stuff was safe to drink. But then he began testing for foreign matter - a totally different story. Perrier water – that legendary French substance – was among the worst, containing a very high level of impurities. Of course, with Perrier, there is carbonation to contend with, which is augmented as necessary at the point where it is bottled. During the seminar, we were singularly unimpressed with the so-called purity of all the bottled water - with the exception of Dasani from Coca-Cola, which we were told was just bottled municipal water from Memphis, Tennessee. Memphis municipal water is artesian, natural water without chemical treatment unless there is some reason, usually short-term and temporary. The city is proud of their water and keeps careful tabs on its quality. One of my ex-wives has that world-class water in which she bathes as well as enjoys by the glass. This writer owns a well that is the source for all his domestic water. It provides water from approximately 200 feet below the surface of the ground. His well is only about 80 feet from the shores of Lake Agnes, which is about 30 feet deep at its deepest point. This well produces great tasting water which does vary somewhat from time to time, but all tests have declared it safe. Nevertheless, his wife finds reasons to state, firmly, that she has a need for bottled water; he has learned his lesson, and he responds to her preference declarations with silence and a casual shrug. What's more, this writer has drunk gallons of water straight from Lake Agnes, and it tasted fine - although those instances were usually inadvertent, immediately after riding his Polaris watercraft into a wipeout of one kind or another. Hmmm, “added for taste”? Telling. And we know that whatever minerals are found in that water can also be found in the Himalayas. Amazing juxtaposition of truth and BS. We use state of the art Electrochemically Activated Water (ECA) to create 8.8 ph drinking water without the use of any chemicals. The ECA process uses specialized electronic cells coated with a variety of rare earth minerals to produce our scientifically engineered water. This technical advantage makes ALKALINE88® comparatively superior to other alkaline waters on the market today. Translation: they use electrolysis to add electrolytes to the water and adjust the pH. Doing this, they could make the pH anything they want it to be. The process is probably not unhealthy, but electrolysis doesn’t necessarily improve things, either. The minerals that are added to the water could be anything – mercury for instance. Depending on where they obtain the additive salts, mercury really could be added. Wasn’t everything that is supposedly beneficial and exotic developed elsewhere? This is reminiscent of PT Barnum and the WC Fields characterization of the flimflam huckster. We incorporate beneficial trace himalayan minerals to make Alkaline88® especially unique to other ph waters. Himalayan pink salt has a rich mineral content that include minerals and trace elements such as: calcium, magnesium, potassium, copper and iron. 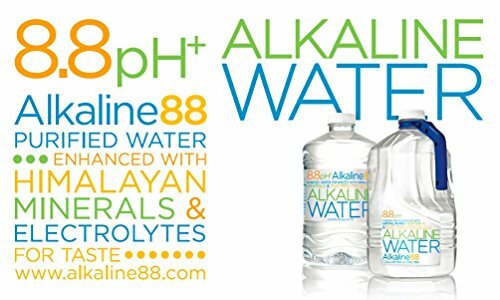 These Himalayan minerals are considered to be the best in the world, making our ALKALINE88® brand especially unique compared to other alkaline waters on the market today. Ah, yes, the magic of Himalaya. And available to you in this wonderful elixir. I can just hear the calliope belting out a circus ditty or two. And we must compare this wonderful potion to all the other wonderful potions that we purchase. And this statement also begs the question: how many alkaline waters have I bought today? Masterful flimflam. Not once in the entire website is a specific characteristic of Alkaline 88 quoted. All are vague generalities. Personnel of the company who are listed include zero scientists, engineers, or other technical persons. The cast is heavy with people in sales, people with business experience, and a grocer. No expertise in any technical field is claimed, nor is claimed any particular knowledge of nutrition nor is the augmentation of bodily processes. During this writer’s misspent youth, Saturdays at the Bijou theater were times for watching Westerns during which it was a frequent plot device to have someone yell “Watch out! Alkali water!” one drop of which was well known as being deadly poison. The pool that was the source of this water frequently was littered with cow skulls and other bleached bones of the luckless beasts that had been driven by thirst to partake of the deadly liquid. Alkalis are powerful chemicals which are needed for the reduction of wood pulp to make paper, to make soap, and to aid in many other necessary uses. High pH numbers (7.0 is neutral) indicate alkaline content, the highest of which is 14.0. Numbers below 7.0 on the pH scale indicate acids. In a new marketing gimmick, those who are selling this water are obviously relying upon the short societal memory of the turn-of-the-century adult not to remember those days littered with bovine bones. In this way, that perfectly dreadful brand name, “ALKALINE 88” will be held in the same regard as Dasani or Perrier – and they are emphasizing flavors of minerals and electrolytes. Are they de-emphasizing chalky iron-water? It is reminiscent of the days when the presence of "Flavonoids" was proclaimed proudly as substances which were highly desirable in some snack food. The true origin of those was never revealed, nor, surely, will be the precise composition or source of the minerals and electrolytes in the newly available "Himalayan" product. It’s all smoke and mirrors - and status. This whole bottled water industry seems to have begun in the 1970s when people who had been hippies became stockbrokers and found themselves with far more money than they knew what to do with. It was then that the Perrier water began to jump off the shelves into the grocery carts next to the newly available Miller Lite and the Benson and Hedges 100s; the affluent at that time were rather confused by the profusion of fads. But one fad persisted. The brands of bottled water proliferated until even Coca-Cola (Dasani) and Pepsi (Aquafina) got into the act. Since that time, the decline of soft drinks left a huge market for water. The marketers of water are not the least bit embarrassed about the prices that they get for free stuff that comes from the sky or very cheap stuff that comes from the ground or tap. The course at Auburn University was an eye-opener. There was, at the time, a proliferation of ad campaigns hawking brands of water. 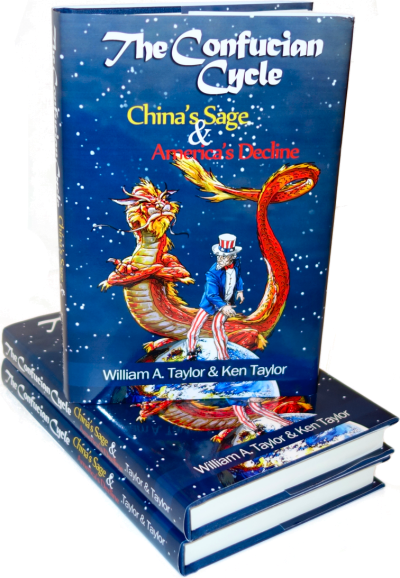 This seems to have eased off somewhat, but not because of an increased discernment on the part of consumers. Probably, it has more to do with the proliferation of low-end brands than anything else. This writer, for one, refuses to spend his hard-earned money on something he can get by turning the tap. And there is every expectation that the water running out of his tap is the equal of or superior to what his wife pays over a dollar for in the grocery store. Bottled Water Becomes Number-One Beverage in the U.S. I am surprised that the author finds this revelational and seems to believe that the increased consumption bottled water is due to advertising claims without examining other possibilities, the prime ones being safety and convenience. Health advocates - everyone from dentists to personal trainers and dieticians - have long stressed that water is better for you than drinking soft drinks, both regular and diet. Aside from the need to be adequately hydrated, especially while being physically active, there is zero nutritional value - just as in water, but the effect on blood sugar and insulin levels is deletrious. As for dentists, mine has a empty can of Coca-cola at the receptionist's counter and next to it, a plastic baggie with 14 teaspoons of sugar in it to represent its actual content in said can. In addition, it is well-established that repeated use of the same container without cleaning, if not actual sterilization, fosters the growth and spread of germs and bacteria. If people ever thought about the mice, rats and other vermin that run across the tops of soft drink cans in the warehouse, they would at least use a straw to drink the can's contents. That isn't much of an issue with bottled drinks from which have the cap is removed. The convenience factor should also not be overlooked. It is far more quick and easier to grab a one-use container than to be filling, and cleaning jugs, thermoses and other containers. It is probably more energy efficient as well. Lastly, the author is correct that water is a commodity. So it stands to reason that a bottler will either compete on price or on supposed "product differentiation" - marketing the product as somehow superior to its competitors. My wife and I buy the cheapest bottled water in a store, the "house brand," if you will. I don't even look at the label, only the price. We use it mainly for its covenience factor, but also to hydrate ourselves rather than drinking soft drinks or too much beer. At home we drink tap water. The whole issue is not one to get worked about. We are not talking about anything of significant consequence. I would suggest that if one is bothered by it, they should try getting up on the other side of the bed in morning. Oh, a have a glass of tap water, you body dehydrates overnight as your trip to the bathroom will tell you! I especially like the "no chemicals" claim as they sell their water (H2O) with salts (probably mostly NaCl but they don't say). All are chemicals. The bottle is made from chemicals, as are they for that matter. As for the claim of electrolyzing the water, well that only makes H2 and O2 gases (both chemicals), unless there is something else in the water. Since H2 leaks rapidly through most everything, I'm confident none of it would be in the bottle by the time anyone bought it. Also, a mixture of H2 and O2 is explosive, so no one in their right mind, or their insurance company, would ever try to bottle it, they would be making inferior hand grenades, if they got far enough to actually put it in the bottle. Finally, if one wants alkaline water, take some water and add a little baking soda. That even adds a little calcium (more chemicals)! The last laugh may be on those who do drink bottled water from plastic containers. Most of these contain the chemical BPA which is apparently not good for people at all, and which leaches out into the water or whatever else is in the container. All cans and bottles with BPA are likely to be slowly poisoning people who eat or drink from them. So the apparent ease and luxury of cheap plastic water bottles may have a huge cost to our health. If you must carry water around, get a glass container and fill it with filtered tap water.